Sensitive information about the identities and activities of Albania’s intelligence operatives appeared online, apparently due to an administrative blunder. The incident has reportedly alarmed officials at the North Atlantic Treaty Organization (NATO), of which Albania has been a member since 2009. British newspaper The Independent, which reported the incident earlier this month, described it as “a dangerous breach that could have international consequences”. The paper quoted a former officer in the United States Central Intelligence Agency who described the breach as “the type of bureaucratic catastrophe that could put lives at risk”. Until the end of the Cold War, Albania was a communist state aligned with China. Since 1991, however, the former communist country has tried to align itself with the West. As part of this strategy, successive Albanian administrations have tried to combat widespread nepotism and government corruption. A significant aspect of this ongoing anti-corruption campaign involves the daily publication of the financial activities of Albanian government agencies. This information is available in searchable spreadsheets on the website of Albania’s Ministry of Finance and Economy. 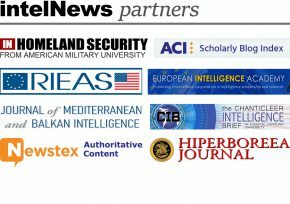 Recently, however, Vincent Triest, a researcher with British-based investigative website Bellingcat, noticed that the publicly available spreadsheets contained information about the State Intelligence Service, Albania’s spy agency, known as SHISH. In reading through the spreadsheets, Triest was able to find the names, official job titles, salaries and monthly expenses of at least eight senior members of SHISH. Most of them, said Triest, serve under official (diplomatic) cover at Albanian embassies and consulates in Greece, Italy, Belgium, Serbia, and elsewhere in Europe. In a follow-up article posted yesterday on Bellingcat’s website, Triest said that the spreadsheets on the website of the Albanian Finance Ministry contain names and national identification records of SHISH officers, the agency field offices where they are serving, and even the make and model of the vehicles they drive along with their license plate numbers. A separate spreadsheet lists the construction contractors, plumbers and electricians used by various SHISH field offices, as well as the mechanics that are contracted to service the agency’s vehicles. Remarkably, at least two of the exposed SHISH officers are serving in “sensitive posts at NATO headquarters in Brussels”, writes Triest. This has raised alarms at NATO, as Albanian intelligence officers with access to NATO’s secrets could now become susceptible to possible recruitment by adversary spy agencies, said The Independent. The paper added that it notified the Albanian government of the security breach, and was told that the sensitive data would be promptly removed from government websites. ►►Syria denies Vice-President has defected. Syria denied reports over weekend that President Bashar al-Assad’s deputy had defected. Vice-President Farouq al-Shara “never thought for a moment about leaving the country”, said a statement from his office, broadcast on state television and issued in response to reports that the veteran Ba’ath Party loyalist had tried to defect to Jordan. Al-Sharaa’s office said the vice-president “supports get[ting] united support from the [United Nations] Security Council to carry out his mission without obstacles”. ►►What is inside the CIA’s Polish prison? A major political scandal erupted in Poland this year, over an alleged secret CIA ‘black site’ used to house high-ranking terrorism suspects. But exactly was in this prison? In this interview, aired yesterday on Washington DC-based National Public Radio’s Weekend Edition program, host Linda Wertheimer speaks to journalist and author Roy Gutman about his recent trip to Poland, to cover an investigation into the CIA interrogation facilities. ►►US ‘surprised’ after Albania replaces spy chief. Little more than a month after taking office, Albanian President Bujar Nishani has discharged the Director of the country’s State Security Agency, SHISH, Bahri Shaqirin. The move follows a request by Albanian Prime Minister Sali Berisha, who first proposed that Shaqirin should be removed. His replacement is Visho Ajazi Lika, currently Deputy Minister for Technology and Information. Some analysts note that Shaqirin enjoyed the support of the US Embassy in Tirana. One of its spokespersons said that “the US had not been informed about Shaqiri’s discharge and [Washington was] surprised by this fast and unexpected decision”.